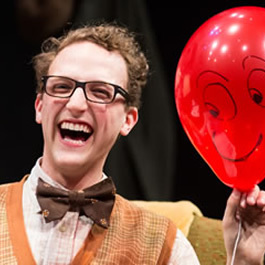 Students in the Comedy Arts Module will explore the field of comedy in fields of television, film, theatre, stand-up, prose, performance and sketch. Through the development of their comedic voice, characters, structure and timing, students will learn the traits of well-built comedy. By delving into comedy’s past and present while also looking toward the future of comedy, students will discover ways comedy can create a lasting and unique impact upon its audience. By adapting their own individual approaches toward comedy, the module will seek to enhance the students’ inherent “sense of humor” while also building confidence in the creation of specific comedic content. Develop knowledge of fundamental ideas relevant to comedy with mastery of comedic principals and approaches from historical perspective and modern practices. Discuss and apply comedic principals into their own chosen expression or art form, understanding the basics of content and outcome. Understand the different applications of a range of comedic practices and how each works within varying modes of creation. Discovery of individual voice and style and how personal comedic point-of-view is used to create unique and engaging comedic content.